A trademark is considerably more than just a symbol. It protects the identity of your business and the products and services that you provide, and trademarks distinguish your business from imitators. Our trademark lawyeris dedicated to assisting businesses in protecting their trademarks, their interests and their good reputations. Robert G. Klein has spent over two decades securing favorable outcomes in complex business litigation cases. As a result, he knows the legal processes of the business world inside and out, from trademark law and service mark filing to breach of contract and trade secret theft. Robert G. Klein is now offering trademark filings for individuals and businesses on a flat fee basis. Why Should I Legally Register a Trademark for My Business? According to the United States Patent and Trademark Office (USPTO), a trademark is defined as a word, phrase, symbol or design, or a combination thereof, that identifies and distinguishes the source of the goods of one party from those of others. In addition, while similar, the USPTO defines a service mark as a word, phrase, symbol or design, or a combination thereof, that identifies and distinguishes the source of a service rather than goods. 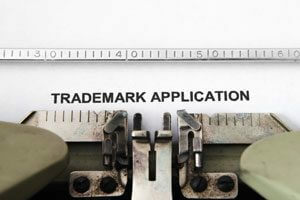 Filing a trademark or service mark for your business is an excellent way to protect your company’s mark from others looking to piggyback on the appeal you have established for your brand and encroaching on your customer base via trademark infringement. However, depending on your level of expertise, trademark registration can be a complicated process that is worth doing right from the very beginning. Why Should I Hire a Lawyer to Register a Trademark or Service Mark? Failing to conduct a comprehensive search of federal registrations, state registrations and “common law” unregistered trademarks prior to filing your application. This is important because if there are other trademarks similar to yours that are not federally registered, you do not want to waste time and money filing a mark that you may be prohibited from using. Improperly describing your goods or services. Failing to respond or filing ineffective responses to refusals to your application issued by a USPTO examining attorney. Failing to monitor and defend your trademark rights, which you as the owner of the mark would be responsible for doing. Do not let your business suffer simply because of the failure to register a service mark or trademark properly. Klein Trial Lawyers can help you protect your business from lost revenue and brand confusion. To have a qualified and experienced trademark attorney assist you with your trademark registration, call our firm today at (323) 405-1002.